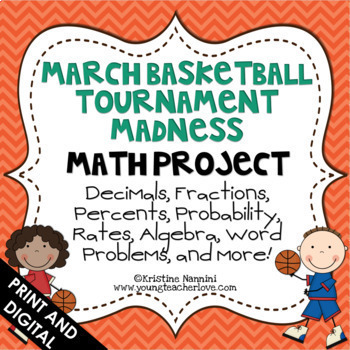 This March Basketball Tournament Math Project is Common Core aligned, and with it’s real world applications, your students will have a blast completing it! 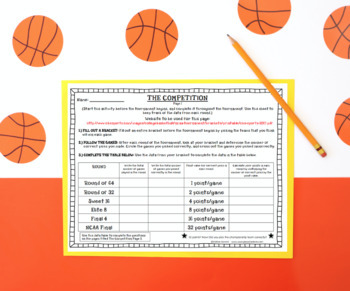 Students will follow the March Basketball Tournament to track statistics on certain teams, their favorite player, and more! 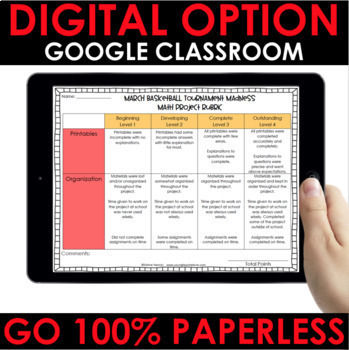 This project should be used with 5th grade/6th grade students, but can be modified for other grades, by the teacher, as needed. 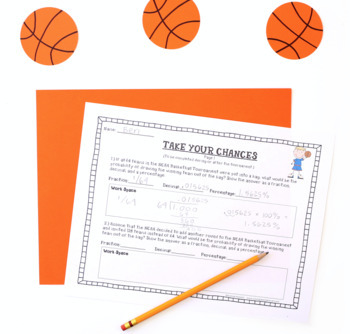 An answer key is not included because the answers depend on the data from the tournament which changes every year. This project is not year specific, so you can continue to use it year after year! I make updates to the product each year to reflect the most up-to-date websites, brackets, and information. This project does not need to be completed during the actual March Basketball Tournament. Due to the nature of the questions, the majority of the project can be done after the tournament has ended. I have even used this as an enrichment project and/or a data project at different times throughout the year. As always, please ask ANY and ALL questions before purchasing!